What is it and why might it be necessary? Paddle Insurance - What is it and why might it be needed? Insurance covers your boat, your paddling gear and you whilst you're using them. If you are paddling the Great Glen Canoe Trail as part of a holiday it is unlikely that your holiday insurance provides cover - be sure to check with your provider. No paddler sets out deliberately to cause injury or damage by colliding with another paddler or boater (or anything else!) when out on the water or even portaging but inevitably these things can sometimes happen and you could be held personally liable. 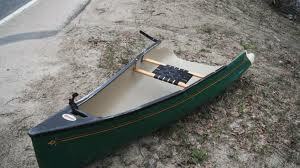 Boats and other paddling gear are often expensive pieces of kit and are unlikely to be covered by your house and contents insurance. There are several UK insurance companies who offer boat and equipment insurance - it's easy to find them through a quick internet search. Membership of the sport's governing bodies often offers discounts on this insurance.